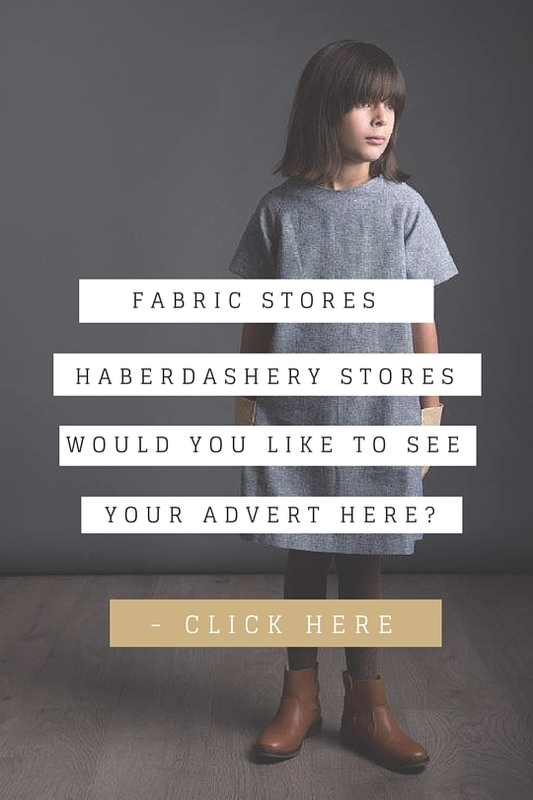 When we are sewing, or cutting out fabric, using patterns, buying fabric or generally daydreaming about our next sewing pattern or project, we often think “that would be a great tip to share”! So, we have created this page to share all those golden words of wisdom with you! 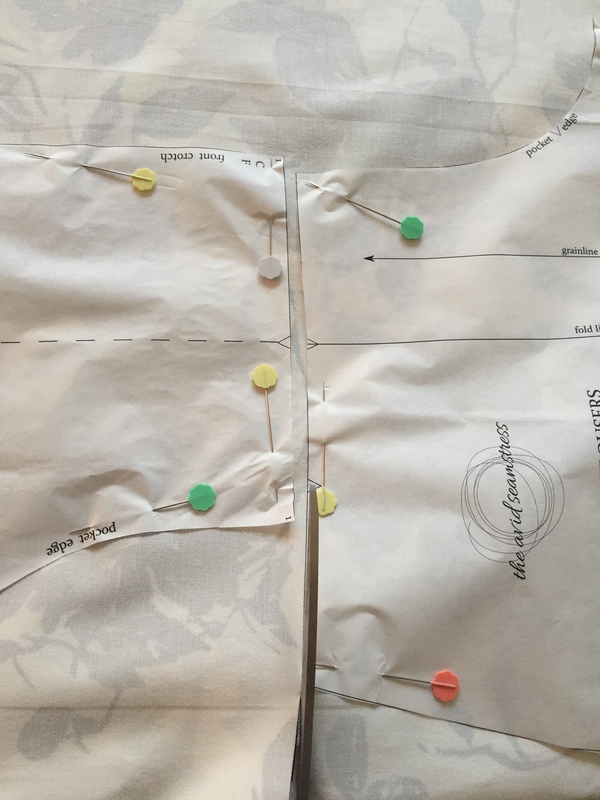 Feel free to comment or add your own – this could become an encyclopaedia of sewing knowledge! 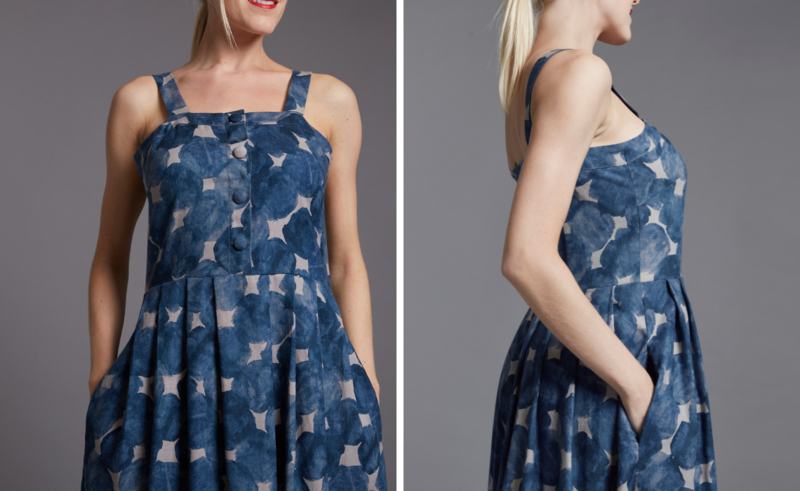 We like to cut our pattern out but not cut the notches. 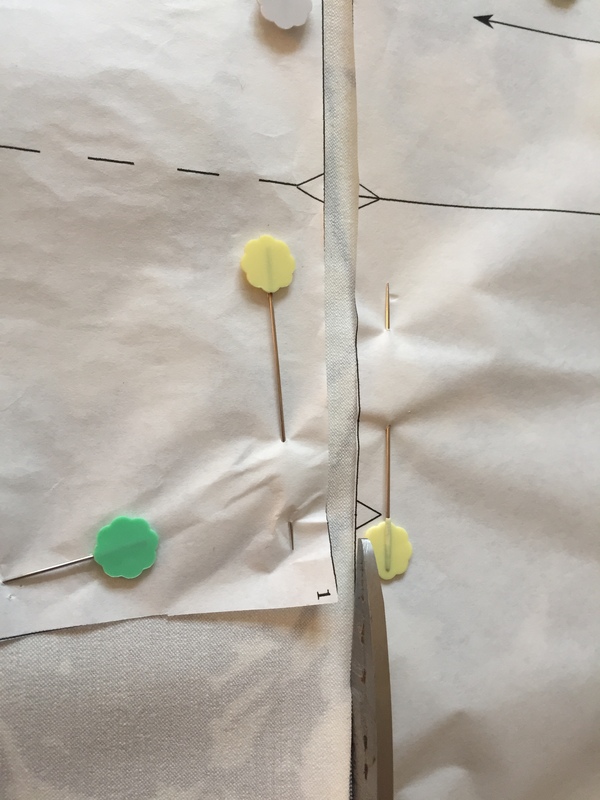 Then, when we pin the pattern onto the fabric we cut the notch out of the paper and fabric at the same time! This way it saves time and is more accurate. We also iron our pattern paper before we cut it out. This way the pattern paper is beautiful and crease free! 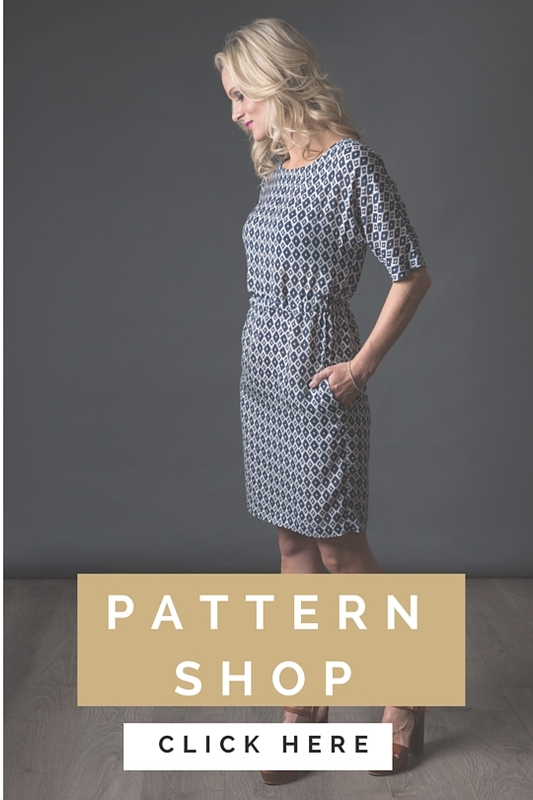 We use the best pattern paper on the market – it’s white, feels gorgeous, doesn’t tear, irons beautifully and is you can see fabric beneath the pattern so you can place your pattern perfectly on your fabric. 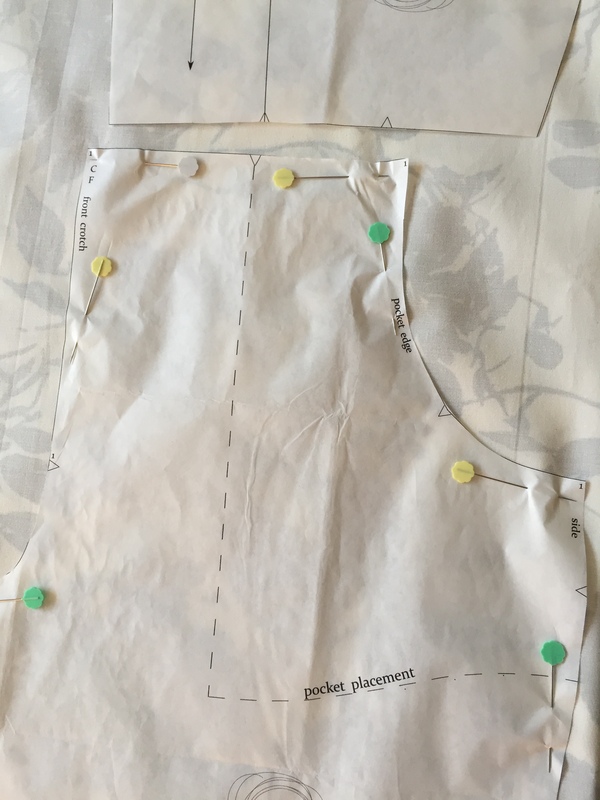 When you pin you pattern pieces to your fabric, think about how you are going to cut it out – the pins help you keep the pattern piece flat on the fabric as you are cutting out the pattern piece. Place your pins close to the edge and especially around corners and curves. This will make the cutting really accurate. Preparation is key and this is a very important first step. 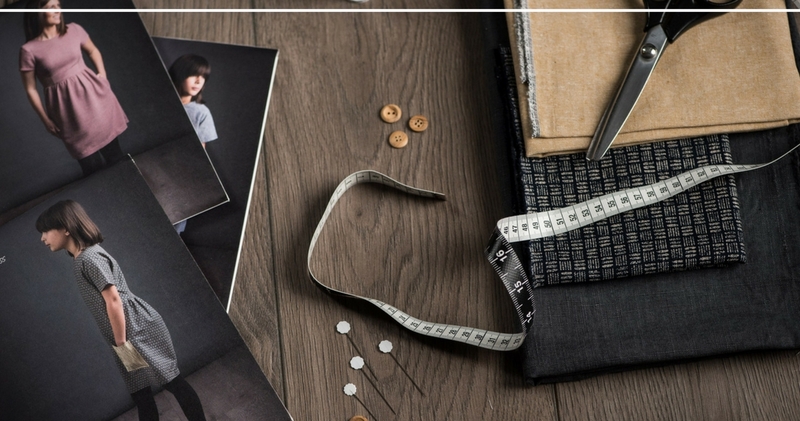 Taking your time with cutting out will ensure your pieces are the right shape and size and will be easier to match them together. I like to always have my pattern piece on the right hand side when cutting. I cut more accurately like this. 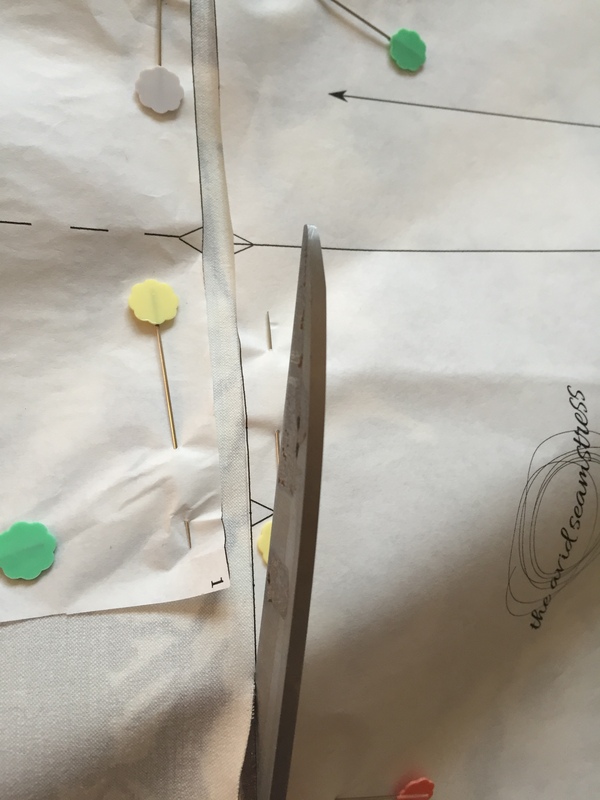 Long cuts with the scissors without snipping all the way down to the end as this snags the fabric. As the blades are getting to the end of the scissors open the scissors again and make the next cut. If I can, I tend to keep turning my pattern pieces so that they are always on my right hand side. This is why pinning properly is also important. Have you got any you’d like to add? We welcome helpful tip and tricks!